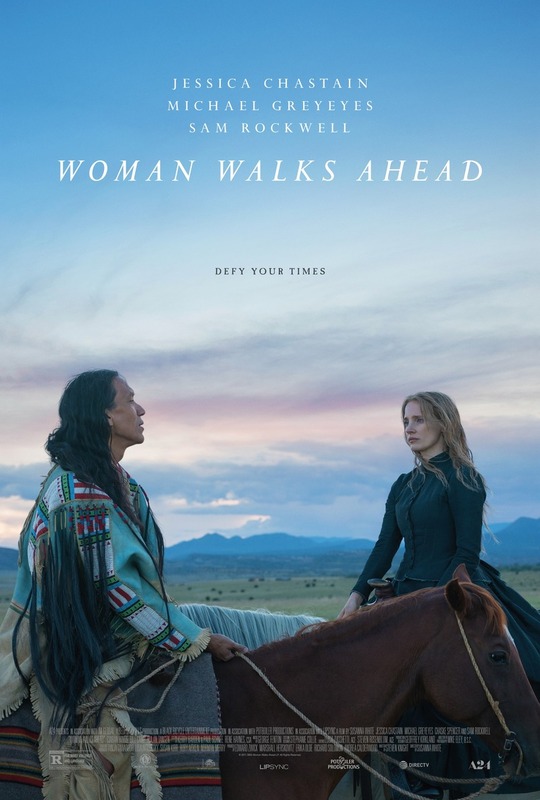 Woman Walks Ahead DVD and Blu-ray release date was set for August 28, 2018 and available on Digital HD from Amazon Video and iTunes on June 26, 2018. In 1890s Brooklyn, a Swiss-born painter named Caroline Weldon makes the decision to visit the newly-minted states of North and South Dakota, hoping to capture the spirit of the indigenous people in her artwork. Arriving there, she meets the famous Lakota chief Sitting Bull during a tumultuous time in the tribe's history. The Lakota people are focused on a dispute with the U.S. government over land rights. Caroline becomes an adviser to Sitting Bull just before the fateful Battle of the Little Bighorn.